Verdi is a relatively young[ citation needed ] impact crater on the planet Mercury. It was named after Italian Romantic composer Giuseppe Verdi (1813–1901) in 1979, as recognized by the International Astronomical Union. The crater's extensive ejecta blanket and secondary crater field are superposed on plains materials and older craters. Verdi lies in the northern section of the Shakespeare quadrangle and is relatively large for a Mercurian crater, with a low rim and shallow floor. The crater has a diameter of about 145 kilometres (90 miles), although estimates of its size have varied. Like its neighbour, Brahms, Verdi is "a complex crater with a central peak and terraced walls" and has several secondary craters. Another key feature of the crater is its discontinuous inner rings. The Shakespeare quadrangle is a region of Mercury running from 90 to 180° longitude and 20 to 70° latitude. It is also called Caduceata. Brahms is a crater on Mercury. It has a diameter of 100 kilometers. Its name was adopted by the International Astronomical Union (IAU) in 1979. Brahms is named for the German composer Johannes Brahms, who lived from 1833 to 1897. Messenger was a NASA robotic spacecraft that orbited the planet Mercury between 2011 and 2015. The probe was launched aboard a Delta II rocket in August 2004 to study Mercury's chemical composition, geology, and magnetic field. Scarlatti is a pit-floored crater on Mercury, which was discovered in 1974 by the Mariner 10 spacecraft. It has a prominent peak ring, which floor is covered by the smooth plain material. The crater displays an arcuate collapse feature along the peak ring. The size of the pit, which was first noticed in MESSENGER images obtained in January 2008, is 38 × 12 km. Such a feature may have resulted from collapse of a magma chamber underlying the central peak ring complex of the crater. The collapse feature is an analog of Earth's volcanic calderas. Scarlatti is thought to have the same age as the Caloris basin. The geology of Mercury is the least understood of all the terrestrial planets in the Solar System. This stems largely from Mercury's proximity to the Sun which makes reaching it with spacecraft technically challenging and Earth-based observations difficult. Kuiper is a moderate-size crater with a central peak cluster located at 11.35°S 31.23°W on Mercury. It is 62 kilometers in diameter and was named after Dutch-American astronomer Gerard Kuiper in 1976. It is one of only 2 Mercurian craters which are named not after artists, and one of very few cases when the same name is used for 3 craters. Gerard Kuiper, being a leader of American planetary science, died shortly before the first images of Mercurian surface were made. The Borealis quadrangle is a quadrangle on Mercury surrounding the north pole down to 65° latitude. The Tolstoj quadrangle in the equatorial region of Mercury runs from 144 to 216° longitude and -25 to 25° latitude. It was provisionally called "Tir", but renamed after Leo Tolstoy by the International Astronomical Union in 1976. Also called Phaethontias. The Kuiper quadrangle, located in a heavily cratered region of Mercury, includes the young, 55-km-diameter crater Kuiper, which has the highest albedo recorded on the planet, and the small crater Hun Kal, which is the principal reference point for Mercurian longitude. Impact craters and basins, their numerous secondary craters, and heavily to lightly cratered plains are the characteristic landforms of the region. At least six multiringed basins ranging from 150 km to 440 km in diameter are present. Inasmuch as multiringed basins occur widely on that part of Mercury photographed by Mariner 10, as well as on the Moon and Mars, they offer a potentially valuable basis for comparison between these planetary bodies. The Hokusai quadrangle (H-5) is one of fifteen quadrangles on Mercury. It runs from 360 to 270° longitude and 20 to 70° latitude. Named after the Hokusai crater, it was mapped in detail for the first time after MESSENGER entered orbit around Mercury in 2011. It had not been mapped prior to that point because it was one of the six quadrangles that wasn't illuminated when Mariner 10 made its flybys in 1974 and 1975. These six quadrangles continued to be known by their albedo feature names, with this one known as the Apollonia quadrangle. The Raditladi quadrangle (H-4) is one of fifteen quadrangles on Mercury. It runs from 270 to 180° longitude and 20 to 70° latitude. Named after the Raditladi Basin, it was mapped in detail for the first time after MESSENGER entered orbit around Mercury in 2011. It had not been mapped prior to that point because it was one of the six quadrangles that was not illuminated when Mariner 10 made its flybys in 1974 and 1975. These six quadrangles continued to be known by their albedo feature names, with this one known as the Liguria quadrangle. The Eminescu quadrangle (H-9) is one of fifteen quadrangles on Mercury. It runs from 216 to 288° longitude and from -25 to 25° latitude. Named after the Eminescu crater, it was mapped in detail for the first time after MESSENGER entered orbit around Mercury in 2011. It had not been mapped prior to that point because it was one of the six quadrangles that was not illuminated when Mariner 10 made its flybys in 1974 and 1975. These six quadrangles continued to be known by their albedo feature names, with this one known as the Solitudo Criophori quadrangle. The Derain quadrangle (H-10) is one of fifteen quadrangles on Mercury. It runs from 288 to 360° longitude and from -25 to 25° latitude. Named after the Derain crater, it was mapped in detail for the first time after MESSENGER entered orbit around Mercury in 2011. It had not been mapped prior to that point because it was one of the six quadrangles that was not illuminated when Mariner 10 made its flybys in 1974 and 1975. These six quadrangles continued to be known by their albedo feature names, with this one known as the Pieria quadrangle. The Debussy quadrangle (H-14) is one of fifteen quadrangles on Mercury. It runs from 270 to 360° longitude and from -20 to -70° latitude. Named after the Debussy crater, it was mapped in detail for the first time after MESSENGER entered orbit around Mercury in 2011. It had not been mapped prior to that point because it was one of the six quadrangles that was not illuminated when Mariner 10 made its flybys in 1974 and 1975. These six quadrangles continued to be known by their albedo feature names, with this one known as the Cyllene quadrangle. The Discovery quadrangle lies within the heavily cratered part of Mercury in a region roughly antipodal to the 1550-km-wide Caloris Basin. Like the rest of the heavily cratered part of the planet, the quadrangle contains a spectrum of craters and basins ranging in size from those at the limit of resolution of the best photographs to those as much as 350 km across, and ranging in degree of freshness from pristine to severely degraded. Interspersed with the craters and basins both in space and time are plains deposits that are probably of several different origins. Because of its small size and very early segregation into core and crust, Mercury has seemingly been a dead planet for a long time—possibly longer than the Moon. Its geologic history, therefore, records with considerable clarity some of the earliest and most violent events that took place in the inner Solar System. The Neruda quadrangle (H-13) is one of fifteen quadrangles on Mercury. It runs from 180 to 270° longitude and -20 to -70° latitude. Named after the Neruda crater, it was mapped in detail for the first time after MESSENGER entered orbit around Mercury in 2011. It had not been mapped prior to that point because it was one of the six quadrangles that was not illuminated when Mariner 10 made its flybys in 1974 and 1975. These six quadrangles continued to be known by their albedo feature names, with this one known as the Solitudo Persephones quadrangle. The Michelangelo quadrangle is in the southern hemisphere of the planet Mercury, where the imaged part is heavily cratered terrain that has been strongly influenced by the presence of multiring basins. At least four such basins, now nearly obliterated, have largely controlled the distribution of plains materials and structural trends in the map area. Many craters, interpreted to be of impact origin, display a spectrum of modification styles and degradation states. The interaction between basins, craters, and plains in this quadrangle provides important clues to geologic processes that have formed the morphology of the mercurian surface. Wagner is an impact crater in the south polar region of the planet Mercury. It was named after the German composer Richard Wagner (1813–1883) in 1976, as recognized by the International Astronomical Union. It is located in the Bach quadrangle, between Bach and Chopin. 1 2 "Nomenclature: Mercury, craters". IAU. Retrieved 20 May 2013. ↑ Greeley, Ronald. Introduction to planetary geomorphology. Cambridge University Press. p. 94. ISBN 9780521867115. 1 2 "Verdi's encore". Messenger. Archived from the original on 29 October 2013. Retrieved 20 May 2013. ↑ "Appreciating Mercury's Brahms". NASA . Retrieved 20 May 2013. ↑ "Meet Joe Green". 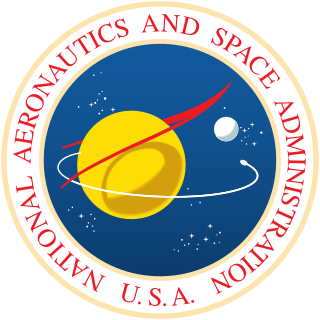 NASA. Retrieved 20 May 2013. ↑ "Map of Shakespeare quadrangle" (PDF). IAU. Retrieved 20 May 2013. ↑ Rannals, Lee (21 December 2012). "Disney name goes interplanetary with impact crater identity". redorbit. Retrieved 20 May 2013.